Day 4 of AIFF2017 - Awards Announced Tonight! Tickets are still available for the following films today! View our full schedule for availability. 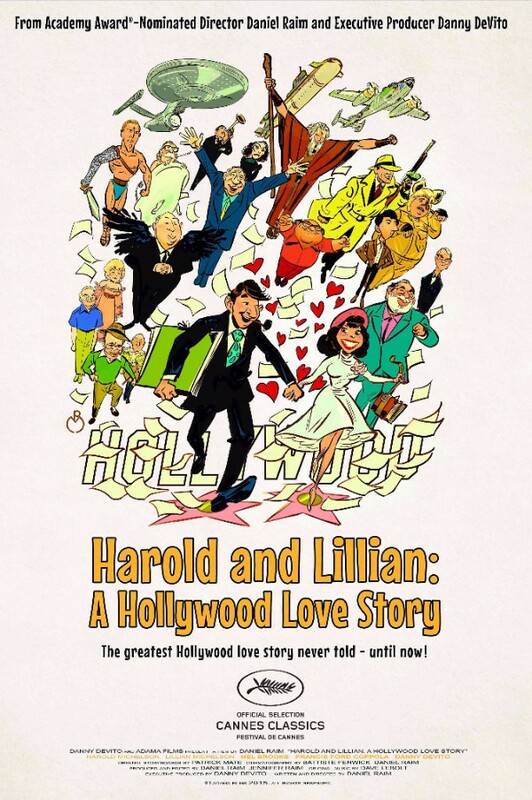 An absorbing and moving account of the romantic and creative partnership of storyboard artist Harold Michelson and film researcher Lillian Michelson, whose jobs might just cease to exist in our digital age. Although the couple was responsible for some of Hollywood’s most iconic examples of visual storytelling from The Birds, The Graduate, and Rosemary’s Baby to Fiddler On The Roof and Scarface, their contributions remain largely uncredited. Through an engaging mix of animated love letters, film clips, and candid conversations with the couple and their friends Danny DeVito, Mel Brooks, Francis Ford Coppola, and others, this deeply engaging documentary from Academy Award-nominated director Daniel Raim chronicles their remarkable marriage and extraordinary careers through six decades of movie-making history. Katherine Dieckmann’s latest film is about what to give up and what to keep close as you recover from grief. 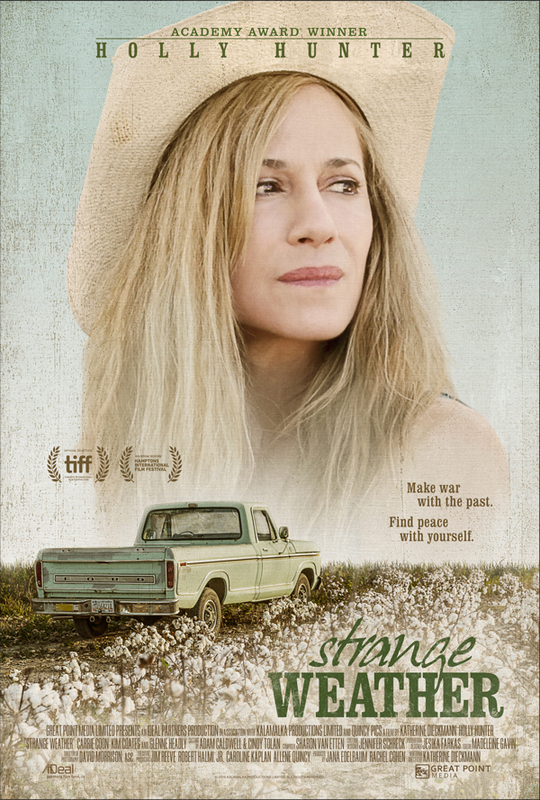 Academy Award-winner Holly Hunter stars as a woman traveling with her best friend though the deep South as she tries to come to terms with the suicide of her son. Hunter’s powerhouse performance as Darcy Baylor, fiercely intelligent and radiant in its complexity, anchors this lyrical drama shot through with regional realism. Strange Weather takes an unforgettable female protagonist and stitches her character’s fateful journey to an iconic landscape like thread to cloth. 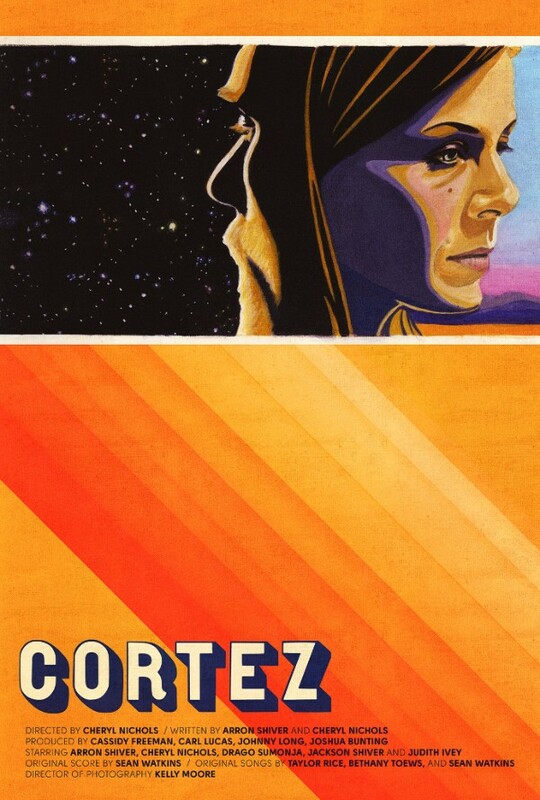 A talented but self-involved musician with a failing album and canceled tour goes in search of an old girlfriend in the beautifully atmospheric town of Cortez, New Mexico. Underestimating the lingering effects of their stormy history, Jesse makes an arrogant attempt at reinserting himself into Anne’s life, unaware that she has a secret that will change his. Two great film directors will talk about cinematic adaptations and literary masterworks. James Ivory (AIFF2017 Lifetime Achievement Award) has been acclaimed for his brilliant works based on novels by E.M. Forster (including Maurice and Howards End in this year’s festival), Henry James, Kazuo Ishiguro, and others.Matías Piñeiro has stormed the film festival world in recent years with his playful takes on Shakespeare’s plays and female characters and will present Rosalinda, Viola, and Hermia & Helena at AIFF2017. Join expert discussion facilitators Marla Estes and Kay Sandberg and special guests for in-depth conversations about how three provocative films affected you and other attendees. Your personal responses to the films’ revelations and possible social action points will be the springboard for discussion. 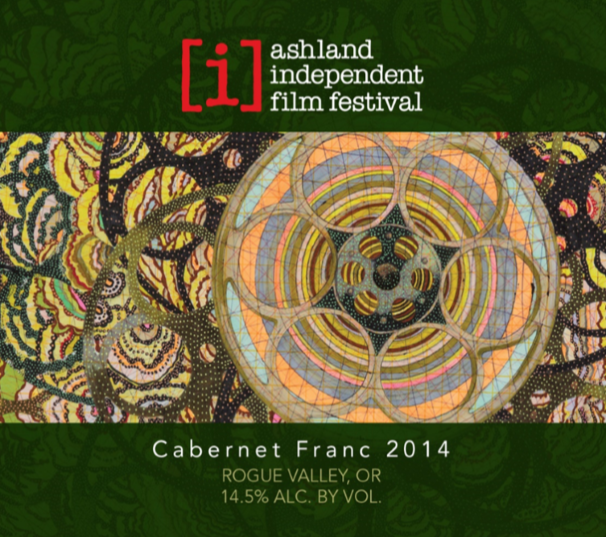 Join us for a tasting of the AIFF 2014 Cabernet Franc at Ashland Wine Cellars. This wine will also be available for purchase by the bottle ($35) or by the glass ($10). All proceeds benefit AIFF. 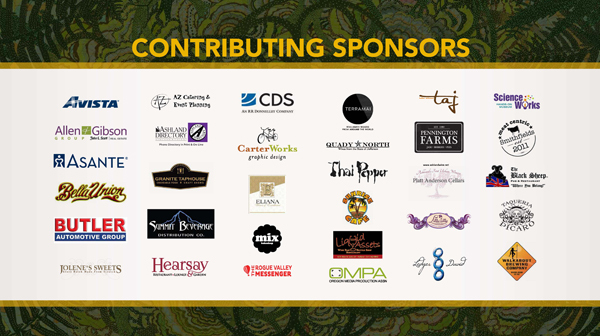 A unique collaboration of grape growers and winemakers. 100% of proceeds benefit AIFF! 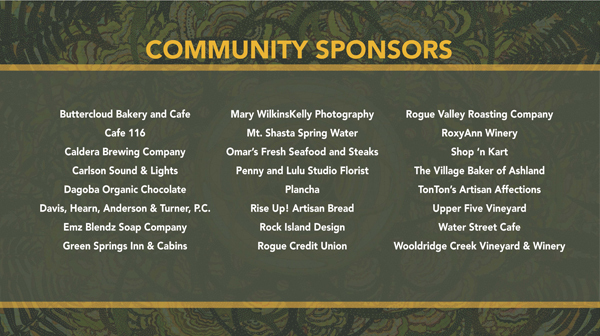 Thank you South Stage Cellars and Weisinger Family Winery. Available for purchase at Ashland Wine Cellar (Ashland), Weisinger Family Winery (Ashland), and South Stage Cellars (Jacksonville). Show us how you fest! Share on Facebook, Twitter and Instagram your favorite AIFF2017 moments, photos and films. 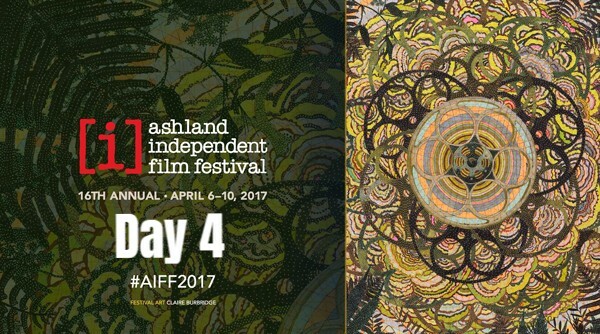 Don't forget to tag us @ashlandfilm and use our official hashtag #AIFF2017. Find your photos on Flickr at flickr.com/ashlandindependentfilmfestival.